How is 2017 shaping up for your parks? We are very excited about the 2017 season and feel that the staycation will be stronger than ever with more and more families choosing to holiday in the beautiful South West. 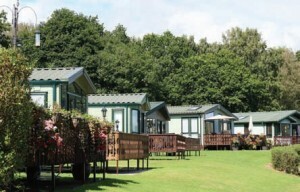 Demand is already up on last year for camping, holiday lodges and private lodge ownership. What challenges are currently facing the holiday park sector? Not just meeting, but exceeding, our customers’ expectations is our greatest challenge. We strive to offer the very best in accommodation, facilities and service and the expectations of our customers are rising at the fastest rate I have ever seen. How have visitor expectations changed during your time in the holiday business and how have you reacted to those demands? Our customers will not accept poor service or accommodation and they are right. We are constantly re-investing to ensure that we keep ahead of our competition. Customer retention is very important to us and proves that we are getting it right. If you had to identify one element, what is the most crucial aspect to the success of the park? Our team. Everyone plays their role to ensure the smooth running of the business and we work hard to ensure we pull together and deliver the best parks we can for guests. Who is the most important person in the business and why? We believe that our customers are the most important people. They are the reason we are in business and what we offer them really matters. What has been your most interesting experience in the industry? Developing Coast View, Shaldon and taking it from a run-down out-dated holiday camp to a dynamic five star holiday park. We are not finished yet and there is still much to do but the transformation has been incredible and very rewarding to see. What is the best piece of business advice you have been given and by whom? My father once told me ‘customer first or you’ll have no customers’ and this has stuck with me ever since, and works because it is so true. Where do you see yourself and the company in ten years’ time? Still growing, developing and learning I hope. Perhaps with several more parks to add to the SWHP brand but without forgetting that we never wanted to be the biggest; just the best. Where do you go on holiday? We appreciate how lucky we are to live in Devon but we do spend a lot of time with family and friends on the Isle of Wight. We also love Cornwall, France and Italy but never get to go as often as I would like. 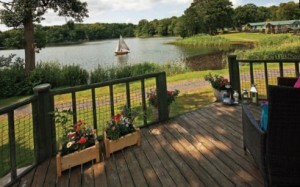 Picture postcards from Pearl Lake Leisure Park, Shobdon in Herefordshire… Run by Glenn and Hannah Jones, Pearl Lake Leisure Park is a luxury country park set around a breathtaking 15 acre glacial lake. The lake is the largest natural lake in Herefordshire and is the crowning jewel to 80 acres of rolling park land that also boasts an exclusive nine hole golf course, a crown bowling green and relaxing woodland walks. 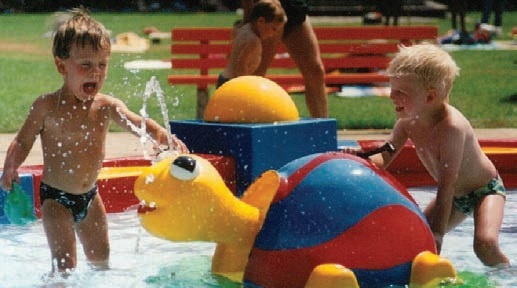 Pearl Lake Leisure Park is being continually improved and updated by Glenn and Hannah and has won numerous awards for their efforts in the time they have been there. As a member of Visit England’s grading system the park has achieved a five star status. The Lakeside Bar Kitchen was revamped last year and the owners are also investing in a new sun terrace for the 2017 season. Children can enjoy the play area, football pitch, skate ramps and recreation field. In the village of Shobdon there’s a village shop and Post Office that takes care of all the essentials, and the local village pub is just a few minutes’ walk away. Open for a ten month season, March 1st to January 2nd, holiday home owners can even celebrate Christmas and New Year at Pearl Lake. Tourers are welcome and self-catering holidays are available. 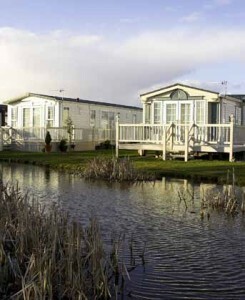 There are also a wide range of both new and pre-owned holiday homes for sale. Record numbers of visitors to Cumbria’s Skelwith Fold Caravan Park enjoyed foraging for wild food at the end of last season – making it the park’s most popular pastime. Park owner Henry Wild said that the season had produced a bumper crop of holidaymakers thanks to a fast-growing interest in foraging in the park’s 130-acre grounds. As well as edible fungi, he said, guests also gathered blackberries, elderberries and sloes to take back home for turning into jelly, wine and gin. Guests roaming the grounds for free pickings were given the thumbs-up for their activities by the park – but with a few words of caution from Henry: “We asked people not to gather more than they can make use of themselves, and not to strip plants or decimate areas entirely as many of our wildlife residents feed on fungi and berries. “We also suggest that visitors learn to tell the difference between similar looking edible and deadly varieties of mushroom, and never to send children out alone to forage,” he added. SPATEX 2016 takes place at Coventry’s Ricoh Arena from Sunday January 31st to Tuesday February 2nd. A shop window on all that is new and happening in swimming pools, spas, saunas, enclosures, steam rooms, SPATEX 2016 is a must-attend for park owners. Celebrating its 20th anniversary, SPATEX is the largest dedicated water leisure exhibition. With 100 plus exhibitors, both national and international, the show brings together under one roof everyone in wet leisure, whatever their business. SPATEX is also a unique platform for free professional training and seminars will run on all three days of the show with the emphasis on holiday parks and the commercial sector. The ‘Legionnaires’ Disease Awareness’ session will look at what steps to take to prevent, detect and combat this silent killer, while the ‘Dealing with Pool Problems’ session will tackle commonly encountered commercial swimming pool problems, including water testing, automatic control and water treatment issues. Above: The World of Park & Leisure Homes Show took place at Stoneleigh Park in Warwickshire in June. Visitors from across the country descended on Stoneleigh Park in Warwickshire last month to visit the 2015 World of Park & Leisure Homes Show – the biggest in the show’s history. With over 50 homes on display from some of the UK’s major manufacturers in the leisure lodge and park homes industry, the visitors were spoilt for choice at the four day outdoor exhibition. The feel good factor was evident among exhibitors and the trade preview day was an ideal opportunity for park owners, site managers and others working within the industry to visit the show ahead of the general public. As in previous years, the 2015 show was a one-stop-shop covering all aspects of park life. A varied selection of exhibitors were on hand to offer expert advice and guidance on choosing the right park and the right lodge or park home to fit any budget. Above: Omar Park Homes celebrated its 50th year in business with a cake cutting ceremony and drinks reception. A highlight of this year’s show was a pop-up holiday park created by park and holiday home specialists Pathfinder Homes. Located at the main entrance to the show and aptly named the Pathfinder Garden Quarter, the area was equipped with aweinspiring gardens, luxury lodges and a courtyard, and featured some of Pathfinder’s most popular lodges – The Summit, Keeper’s Lodge, Meadow View and Country Retreat. In fact, The Summit lodge was voted ‘Ultimate Lodge of the Year’ at the show for its innovative design and evolutionary detailing. Meanwhile Omar Park Homes celebrated its 50th anniversary at the show with a special cake cutting ceremony and the launch of its brand new park home – ‘The Anniversary’. Aside from lodges and park homes, there was plenty of information and advice on refurbishment, maintenance and of course those must-have little luxuries such as spas and hot tubs. 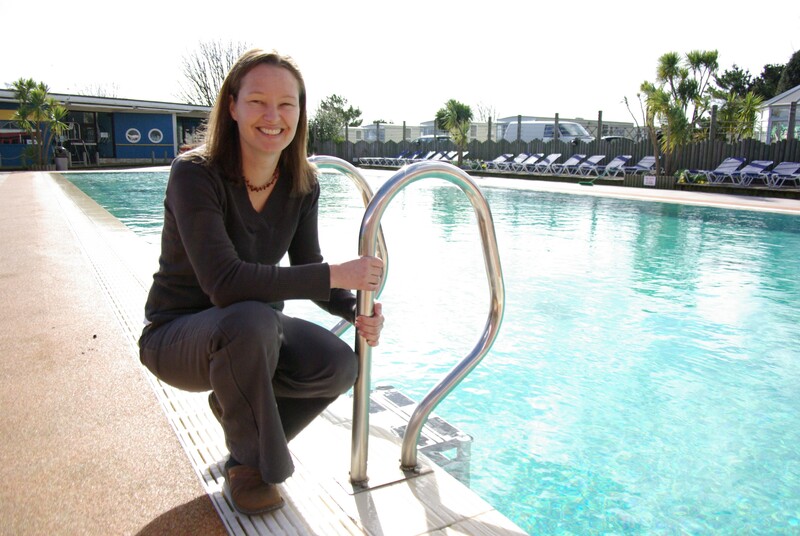 Claire Jeavons is the third generation of the Jeavons family who together run the award-winning Beverley Holidays and Whitehill Country Park, situated in the heart of the English Riviera. Claire is also chairman of the prestigious Best of British Holiday & Touring Parks Group, for which Beverley Holidays is a member, as well as being on the board of directors of the English Riviera Tourism Company. The UK holiday industry is a hugely exciting area at the moment. We’re finding that more and more people are seeking a UK-based staycation over going abroad. Plus, here in the English Riviera, our famously mild micro-climate means visitors can still enjoy a sunny seaside holiday without the hassle of heading too far from home or flying overseas. If the spate of storms we experienced last winter proved anything, it was how changeable the UK climate can be. However, the quick response we saw here in the South West to the damaged Dawlish railway line instilled a huge amount of confidence in the tourism community that we are more than capable to rising to any challenges that the weather might throw our way. How have customer expectations changed during your time in the holiday business and how have you reacted to those demands? Having welcomed visitors to the English Riviera for more than 56 years, our team has been given a fascinating insight into the increasing expectations of customers. As a business, we pride ourselves on constantly adapting and re-investing in our holiday parks to ensure we always stay at the forefront of the tourism scene. The secret to our long-standing success is undoubtedly down to the hard work and dedication of our teams, and also our ability to constantly adapt to changing customer needs. We have transformed ourselves from a small-scale site on farmland to a destination in its own right, offering a multitude of on-site facilities and modern holiday accommodation. We have recently undergone a major re-branding initiative at Beverley Holidays, whereby we unified a number of our parks under the ‘Beverley Holidays’ banner. It was a fascinating experience as we have a passionate following of loyal customers who were understandably curious of the changes, but the end result has been hugely successful and well received by guests both old and new. What does a typical day in the office for you entail? My main role is running the marketing department and covering all areas from social media to advertising and public relations. There is always a marketing campaign on the go. It’s a cliché but ‘put yourself in your customer’s shoes’. I’m a big traveller and I love to visit new places and experience new things, and this certainly helps when it comes to gaining new ideas to improve our guests’ holiday experience. I’m also constantly visiting other holiday parks in the UK through by work as chairman of the Best of British Holiday and Touring Parks group, which gives me a rare insight through the eyes of a customer. I tend to stay in all sorts of different accommodation styles from camping huts to luxury villas. There’s so much to see and experience both in the UK and worldwide, and my aim is to see it all! 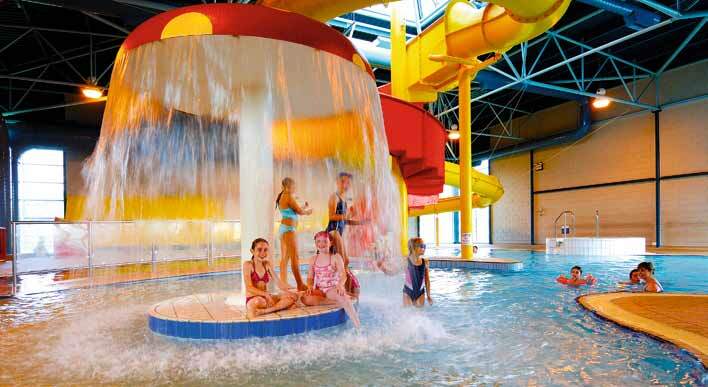 Heatsavr has saved Hoburne Holiday Parks thousands of pounds on pool heating costs at the Devon Bay resort. Hoburne Holiday Parks has saved thousands of pounds on its gas bills, following the introduction of Heatsavr liquid pool cover in the indoor pool at its site in Torbay. Heatsavr was first used at the park in 2011, in a bid to reduce the gas consumption used to maintain the temperature of the pool and the humidity within the pool hall. Results from an independent analysis by EEVS, the UK’s leading provider of performance measurement and verification services for energy, reveal that Heatsavr has reduced gas usage at the park by 21.7 per cent, the equivalent of £4,500 cost saving per year. Heatsavr, the original liquid pool cover, was first introduced to the UK leisure industry almost a decade ago. Many commercial pool operators and domestic owners have adopted the technology and enjoyed considerable energy savings, as well as the benefit of a simple pool cover system that works 24 hours a day. Heatsavr works by slowing evaporation from the pool’s surface. The Heatsavr monolayer spreads across the water and traps energy and moisture within the pool. In an indoor pool, energy savings relate not only to pool water heating but also to the ability to turn down the dehumidification system due to the reduced evaporation. 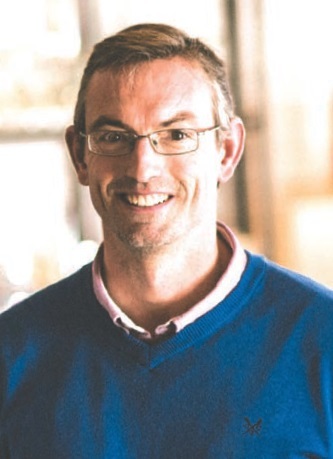 “For pool managers who are in control of expenditure where the pool itself has limited controls, using Heatsavr may feel like a leap of faith as the energy savings may not be easily extracted,” says Peter Marshall of Brenntag UK. The product is odourless, tasteless and completely invisible, tempting pool managers to wonder if it is working at all. The 2015 bar has been set high for Trethem Mill Touring Park after winning three separate gold awards last year. Trethem Mill Touring Park is celebrating a highly successful year after completing a hat-trick of gold accolades. Most recently, the Cornish park received the overall Camping and Caravanning Park of the Year title at the Cornwall Tourism Awards in November – the eighth occasion in the 13 years of the event that Trethem Mill has taken a gold award. 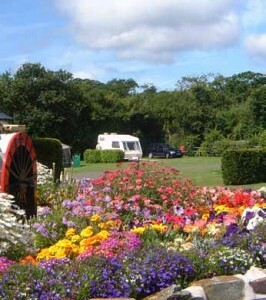 Last spring, the park was one of just a handful of caravan and camping parks in the UK chosen to receive the prestigious gold award given out by VisitEngland to its highest rated parks. Then, in autumn, botanist David Bellamy announced Trethem Mill as a winner of his Conservation Award at its top gold level. Park owner Jane Akeroyd said that 2014 had been a whirlwind of a year for the park, both in terms of visitor numbers and the awards it has received: “By far the majority of our guests are now either repeat visitors, or people coming as a result of a recommendation, which helps create a lovely atmosphere on the park. Jane added: “The bar has now been set pretty high for 2015, but we are determined to carry on simply making Trethem Mill the type of park to which everyone wants to return”. Be sure to choose an insurance company that structures cover around your needs. Recent times have highlighted the need for robust insurance protection as climate change brings unprecedented challenges to the UK holiday park sector. We have not yet witnessed a re-run of the disastrous 1987 storm but we are seeing a rise in the frequency of significant flooding and storms across the country. We have also seen the effects of earlier than anticipated and prolonged winter periods. 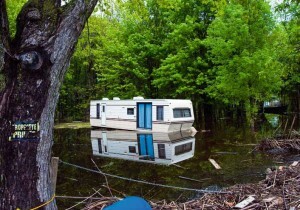 Holiday parks offer a unique blend of risks to the insurance market and choosing the right partner can be the difference between success and failure in the event of a catastrophe. Parks are, by their very nature, exposed to the elements, presenting challenges to the insurance market. Coast Insurance stress that insurance doesn’t just protect against small accidents, losses or theft, but it could save a huge financial bill in the event of something beyond control. Stefan urges holiday park owners to insist upon your insurance advisor not accepting any policy warranties or conditions precedent to liability within the contracts of the insurance they arrange for you. These restrictions are particularly dangerous as they will require you to do, or not to do certain things. Failure to comply can result in policy cancellation or refusal to pay a claim despite the fact that the breach may bear no relevance to the claim itself. They should be avoided at all costs. Basic level cover falls under the banner of Increased Costs of Working, which merely provides protection for additional expenditure reasonably and necessarily incurred after a loss. However, park owners should be made aware that there will be no cover to meet lost revenues. Stefan says: “Like anything, there needs to be a balance between peace of mind and the level of premium you are able to expend. Insurance policies generally contain an overarching requirement for holiday park owners to disclose all material facts to an insurer. Failure to do so can ultimately render the cover void. Whilst it is unlikely to be able to negotiate removal, it is possible to water down the requirement so that in the event of an innocent non-disclosure of a material fact, it will not render the cover void and insurers will meet the claim subject to park owners paying an additional premium. When taking out insurance, Stefan advises holiday park owners to consider less obvious scenarios – “What would happen if your guests were unable to gain access to their brand new holiday home due to an incident outside the park? What would happen if there were an outbreak of a notifiable human disease? To read more on this story please subscribe to Holiday Park Scene online today.